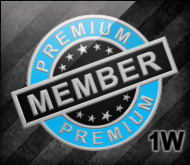 Premium Membership across our Server Network. You may have the opportunity to use virtual, in-game currency ("Virtual Currency") or license a variety of virtual, in-game items ("Virtual Items") that can be used through the AdultCraft Server. You may be required to pay a fee to obtain Virtual Items or Virtual Currency. You have no property interest in any Virtual Currency or Virtual Items. Any purchases of Virtual Currency or Virtual Items (whether through actual monetary transactions or accumulation through membership benefits or gameplay) are purchases of a limited, non-transferable, revocable license to use such Virtual Items or Virtual Currency within the applicable AdultCraft Server. Virtual Currency and Virtual Items may not be transferred or resold for commercial gain in any manner, including, without limitation, by means of any direct sale or auction service. Virtual Currency and Virtual Items have no monetary value, and cannot be used to use products or services other than within the applicable AdultCraft Server. Virtual Currency and Virtual Items cannot be refunded or exchanged for cash or any other tangible value. If you do not redeem your Virtual Currency or Virtual Items, so long as your AdultCraft Server account remains active and in good standing, you will be offered an opportunity to convert any unused Virtual Currency or Virtual Items into one or more in-game or other options determined by AdultCraft Staff in its sole discretion. All Virtual Currency and Virtual Items are unconditionally forfeited if your AdultCraft Server account is Banned or suspended for any reason, in AdultCraft Staff’s sole discretion, or if AdultCraft Staff discontinues any Virtual Currency or Virtual Item program. AdultCraft Server has no liability for hacking or loss of your Virtual Currency or Virtual Items. AdultCraft Server has no obligation to, and will not, reimburse you for any Virtual Currency or Virtual Items lost due to your violation of these terms and conditions. AdultCraft Server reserves the right, without prior notification, to limit the order quantity on any Virtual Currency or Virtual Items and/or to refuse to provide you with any Virtual Currency or Virtual Items. Price and availability of Virtual Currency and Virtual Items are subject to change without notice. Help us pay for our website!